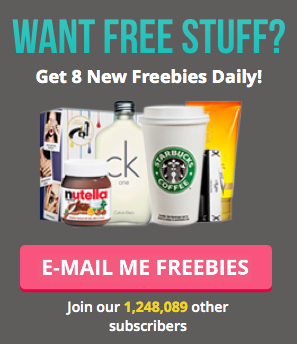 Wowee, check out this amazing freebie from Super Savvy Me! Don't miss out on the chance to claim a FREE pot of Olay Regenerist Whip moisturiser. There are a massive 3,000 pots of this fabulous miracle-working cream up for grabs. This formula delivers powerful skincare, whilst also maintaining a 'lighter than air' texture. This is perfect for those of you with sensitive skin who are looking for something new to try. You will not only receive a free pack and Savvy Circle insiders guide, but you will also be sent samples to share with your pals! PLUS there are coupons included too. This is the freebie that keeps on giving. To be in with a chance, simply follow the link below and hit the 'apply now' button.